"The language of the book is very accessible. There are clear chapter headings and the ability to dip into pages as the reader prefers is supported both by the style of writing and structure of the book, He [the author] ably explains the value in communication, seeking understanding and genuinely listening to the perspectives of other colleagues' Therefore, this book is of value to both experienced and new project managers"
"This book covers the territory very thoroughly, throughout a project's life span and beyond, with the objective of uncovering the inter-cultural challenges, and then offering ways in which to overcome them. While the book will be of especial interest to those involved with in-house projects such as IT and similar, it also covers many aspects that are generally applicable to projects undertaken under contract, such as in the construction industry." John Brinkworth is a management consultant who assists clients to improve their processes for project and programme management. He is also part of the associate faculty at Henley Business School. He is a Member of the Institute of Directors (IoD), a Fellow of the Chartered Management Institute, a Certified Management Consultant (CMCÂ®), a Chartered IT Professional and an Associate of the Chartered Quality Institute. 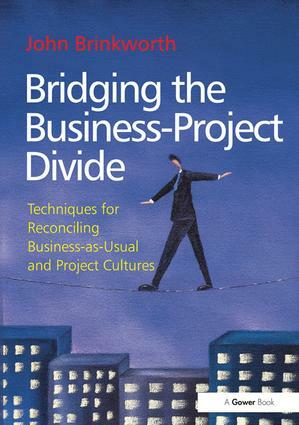 He has previously published a book on Software Quality Management and articles in Conspectus and Project Manager Today. For the then UK Office of Government Commerce (OGC) he has also served on their review team for their publications relating to programme and project management. His focus is on identifying pragmatic solutions that can increase the chances of project success.